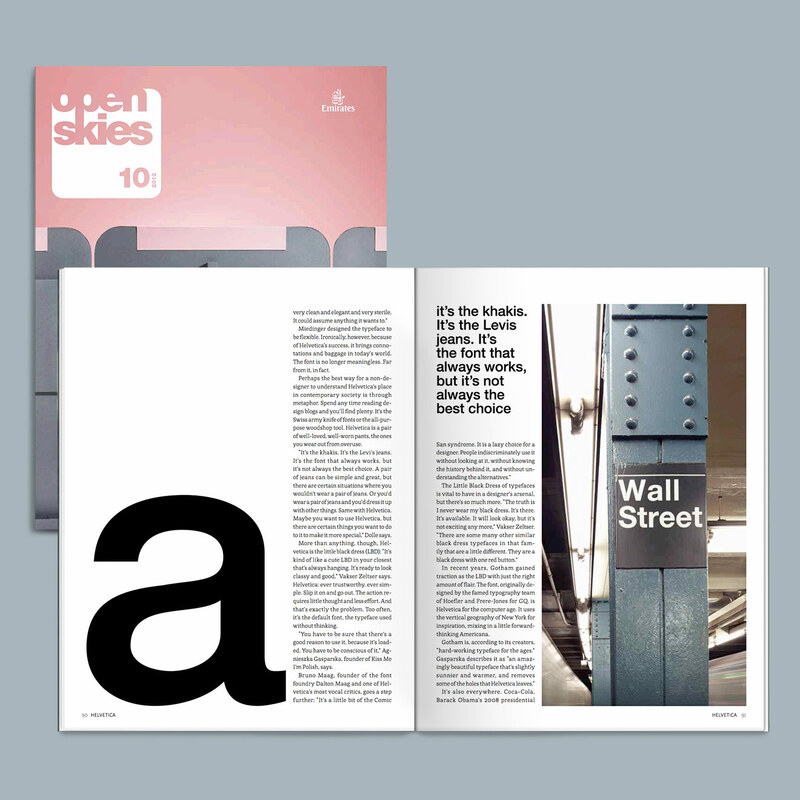 If you happen to find yourself on an Emirates plane headed to Dubai this month, you could also find yourself perusing their great inflight magazine, Open Skies. October’s issue is particularly of interest because it’s focused on all things design – like the rise and fall (and rise) of Lego, Steven Heller’s apartment, and the undying obsession with Helvetica. For the article “Type Positive: The Rise of Helvetica”, NYC-based writer Noah Davis discusses the significance and success of this iconic typeface with KMIP’s Agnieszka Gasparska and other prominent designers in the industry today. Not planning on flying to Dubai anytime soon? No worries, you can check out the article (and the rest of the magazine) online here.